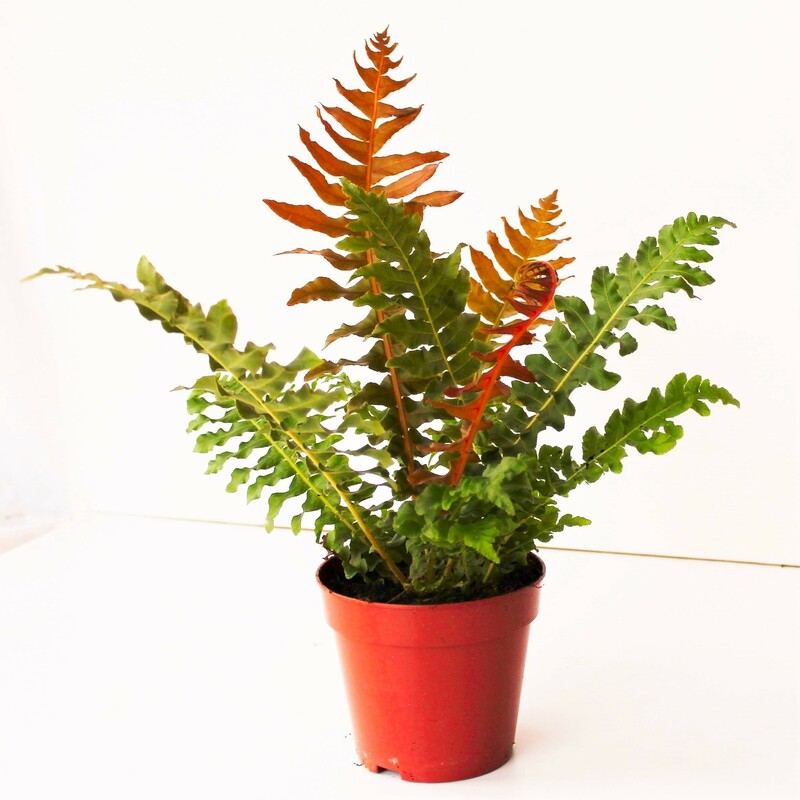 A cracking fern, which has only just become available here in the UK and is sure to be the next big thing! 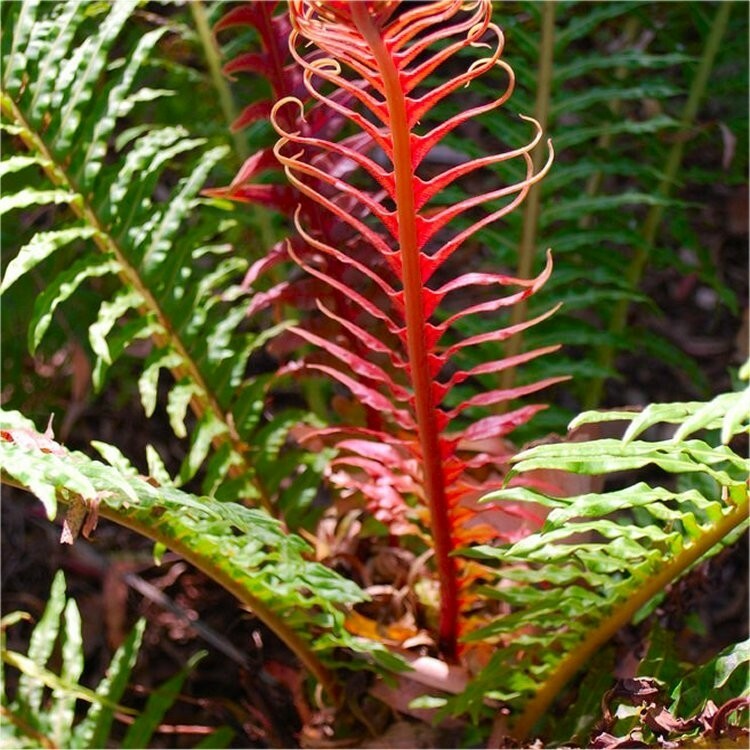 Blechnum brasiliensis 'Volcano' is an exciting find, producing compact plants that lend themselves well to growing in patio planters or in garden beds and borders. 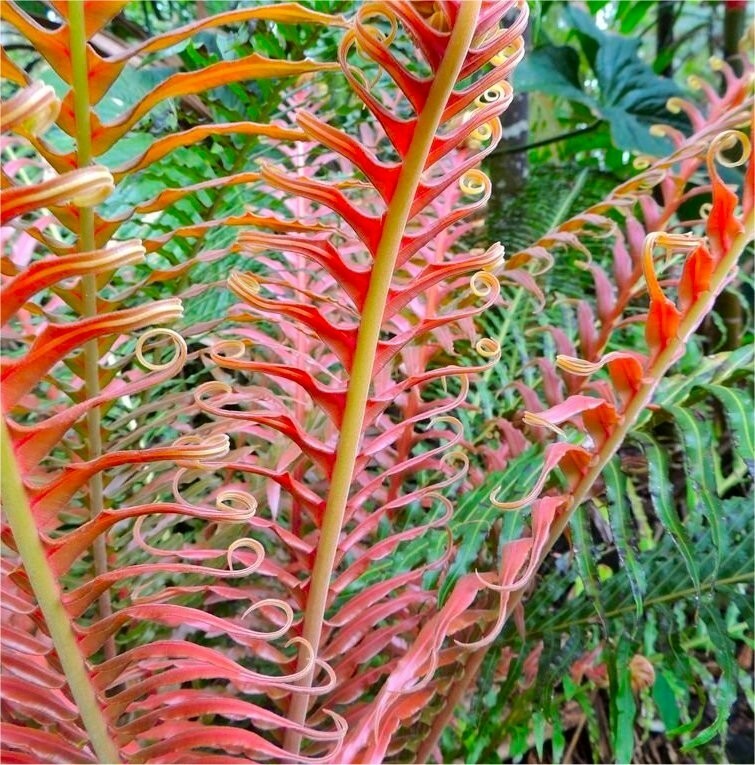 The plants throw up large fronds over 2ft long, and these unfurl in bright red, age to bronze volcanic shades before finally turning to a glossy green - an amazing sight to behold, and quite unusual. These fronds are a good size, and they form a distinctive shuttlecock shape so it is quite architectural. Over time, this fern will form a small trunk, hence the name Brazilian Tree Fern. It will thrive in low light, which means it can even be used to provide an exotic touch indoors as a house plant. 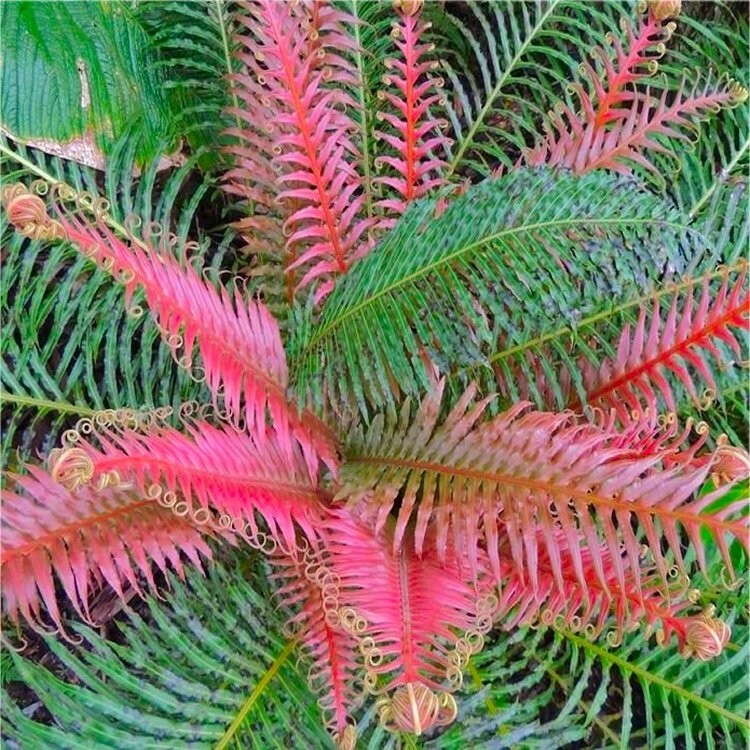 Despite its tropical origins, Blechnum brasiliense is hardy enough to be grown in most UK gardens, tolerating temperatures down to -5c, although it will appreciate a sheltered spot, such as being planted in a shaded woody area. Supplied in approx 1-2 litre containers as pictured.